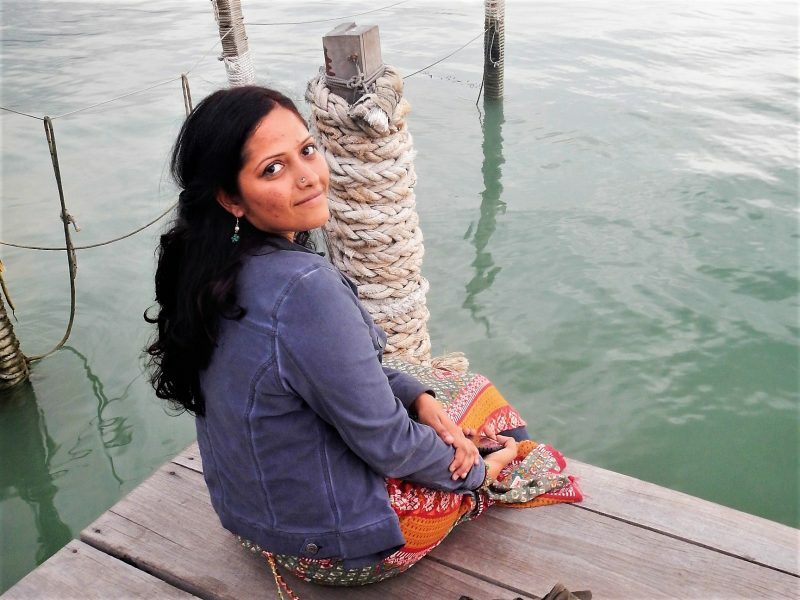 Georgetown – Penang’s capital city is a storytellers’ paradise. Every little nook and corner whispers a story. 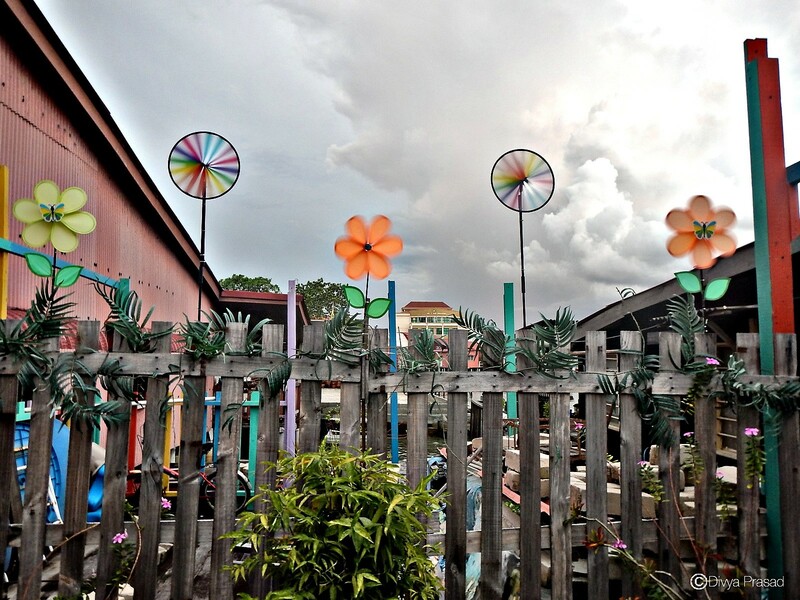 Those who have the eyes and ears for it are sure to fall in love with Penang. 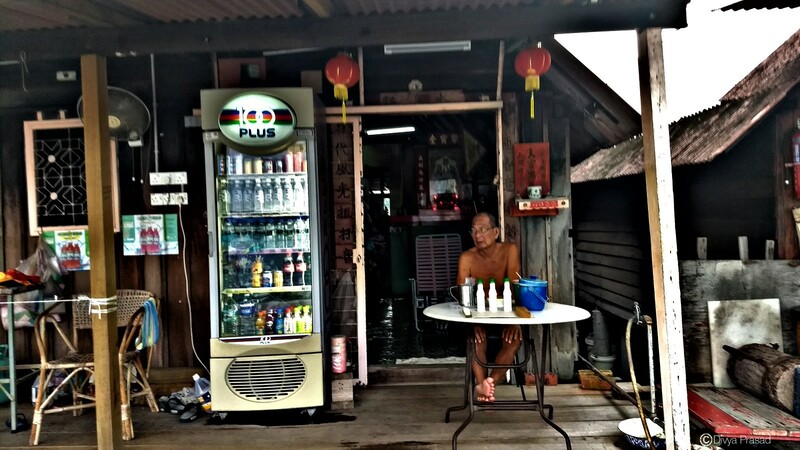 To immerse yourself in the Penangian way of life, keep walking or cycle down its past at your own pace. Like the Penangites say “Jalan Jalan” your way – meaning ‘ Take a fun stroll on the streets’ is the best way to explore Georgetown. Just a little time is not enough to unearth its wonders. 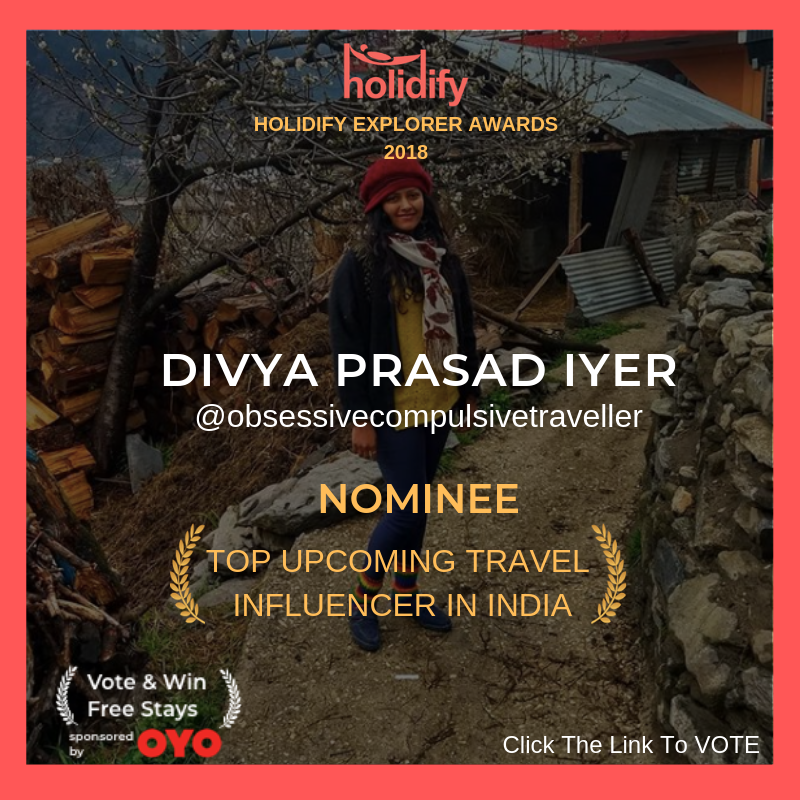 Nevertheless, with the available time on hand, give yourself away to this charming city and let every inch of it surprise you! I had one such culturally immersive experience at the Chew Jetty – one of the oldest Chinese clan settlements by the Weld Quay in Georgetown. 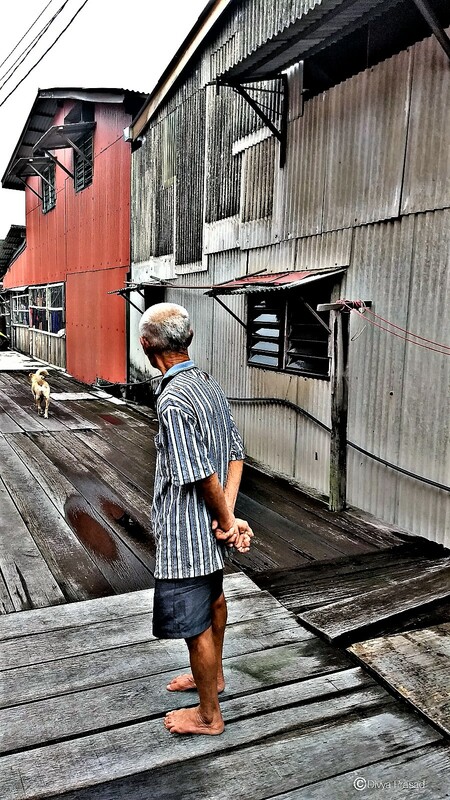 The Chew Jetty is a UNESCO World Heritage site, a living Chinese clan village rooted deeply in Penang’s history. In the nineteenth century, about eight clan jetties came into existence due to the immigrants who arrived by sea to Penang. Being a maritime port, Penang became a paradise for these immigrants who aspired to make their fortune. Many clans from China anchored themselves by these Jetties; in hopes of a better life. Each jetty is home to a different clan. Each of the eight jetties were named after the respective clan’s surnames such as Chew, Lim, Peng Aun, Yeoh, Tan, Lee, Koay and other mixed clan surnames. 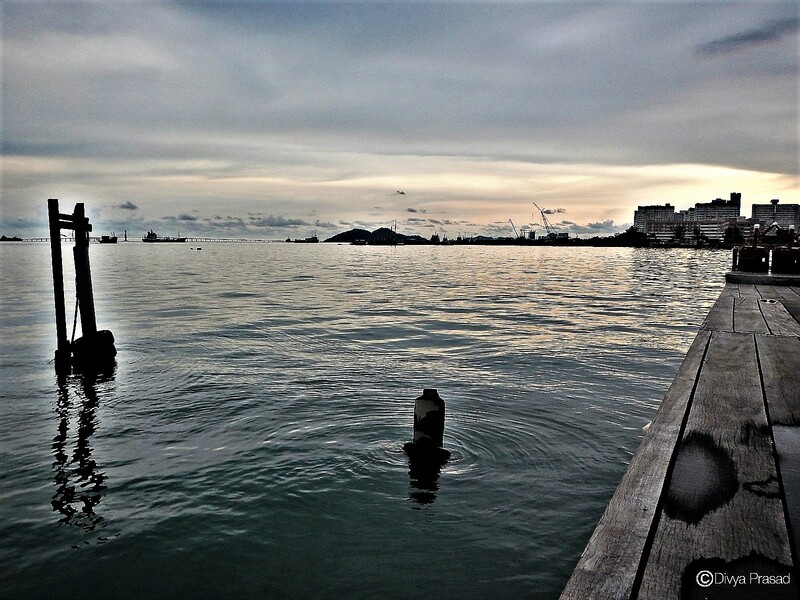 These jetties carry traces of Chinese culture in Penang. Traditional stilt houses frozen in time. 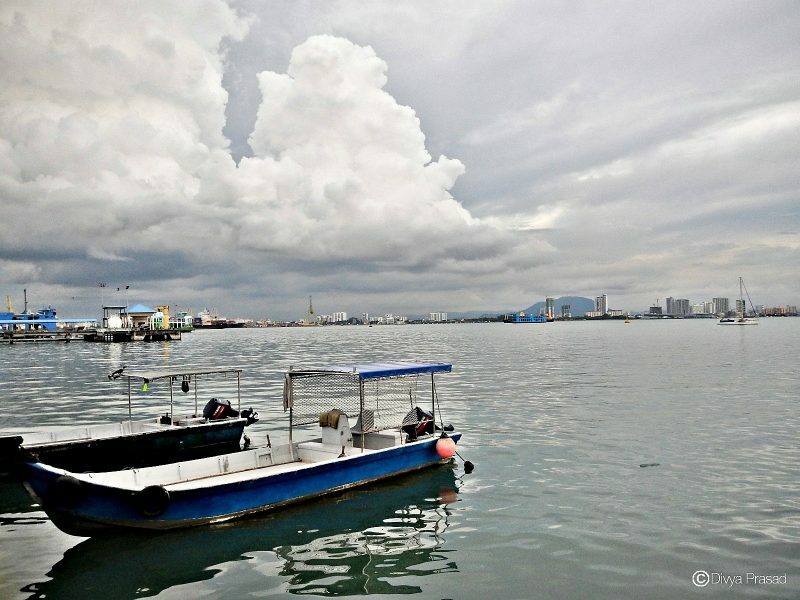 The Chew Jetty, perched on the backwaters of Penang’s Weld Quay inherited its name from its clan surname ‘Chew’. You will find yourself welcomed into a quaint world full of smiling faces, wooden stilt houses and most importantly; a rich past. A wooden alleyway laced by stilt houses, stalls, vendors, lively shops and clan temples leads you to a magnificent deck by the bluest waters. 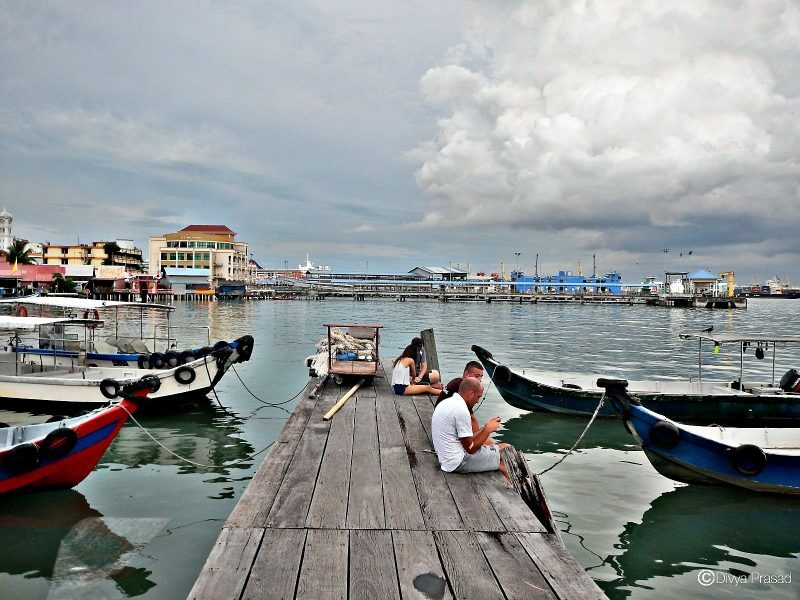 This waterfront village is home to a host of Chinese families and is Penang’s largest inhabited jetty. These families are known to be the descendants from the Quan Zhou territory of Fujian Province, Xin Lin She village and Tong Aun district. Most of the inhabitants living here hail from the Fisherman community while others run their own businesses on its alleys. 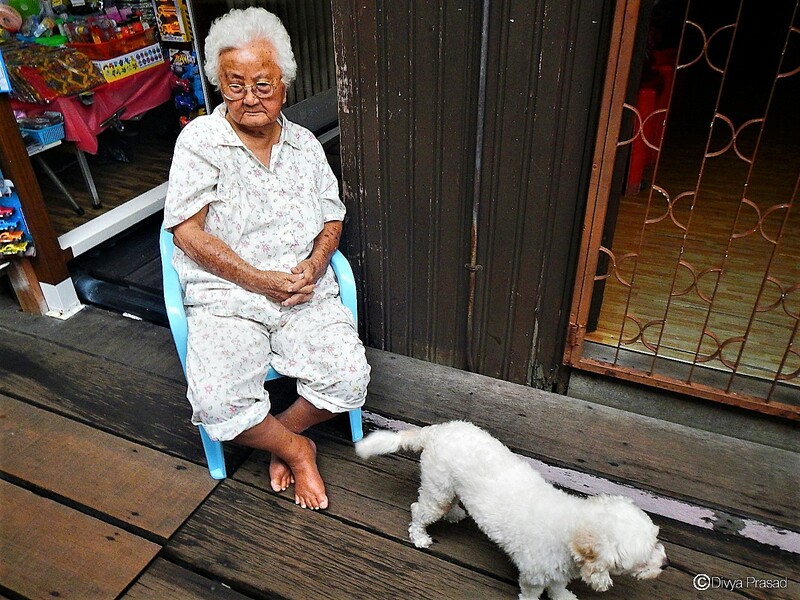 The happy, laidback life on streets. The alleyways of Chew Jetty greet you with the fragrance of the sea. Bright red lanterns and colourful paper cuttings adorn the wooden stilt houses. A whiff of noodles and sweetmeats take over your senses. 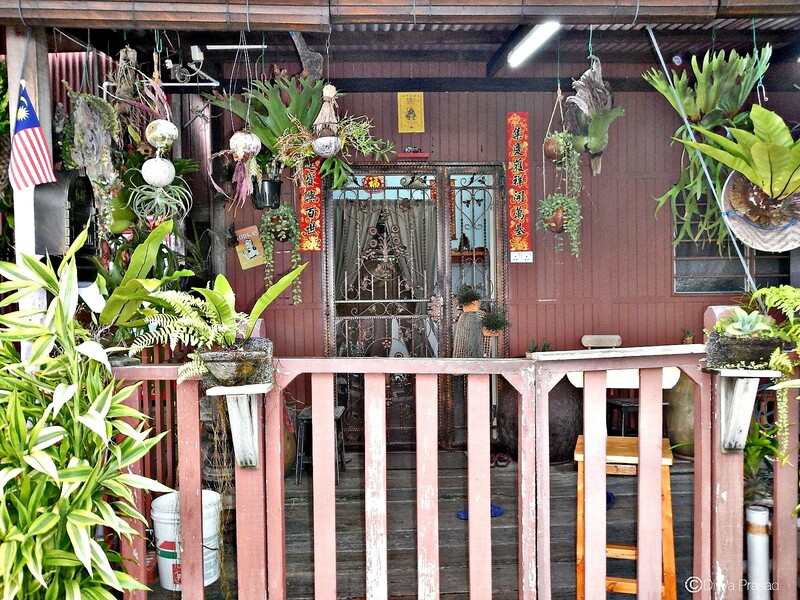 Quaint little shops will lure you to give into some knick-knacks, Durian delicacies, and flavoured Ais kacangs. Fishermen tossing their nets over the water and bringing home their catch of the day is what a day by the jetty looks like. 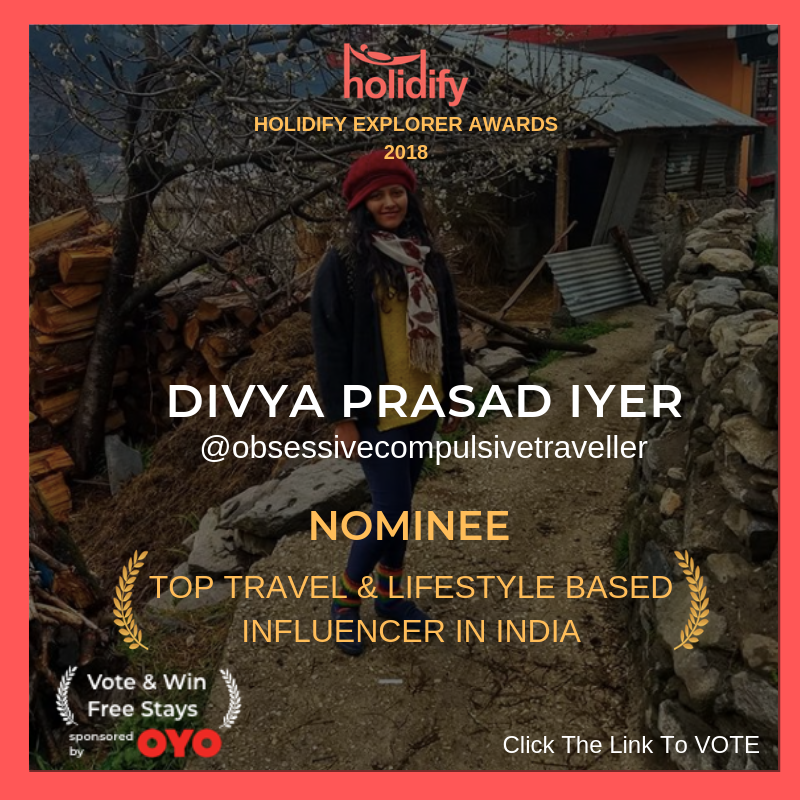 A few wise ones unraveling fortunes for the travellers of life. Children running around merrily. A few elders unwinding over a chat, a game of carrom and tea at the community deck by the waterfront. A few faces gazing at the horizon; hearing the breeze whisper in their ears is not uncommon. The sight of boats dotting the blue waters and the Strait of Malacca on the horizon will be your enchanting muse. These are some of the moments you will encounter here in abundance. Homes of yore whispering tales of yesterday. 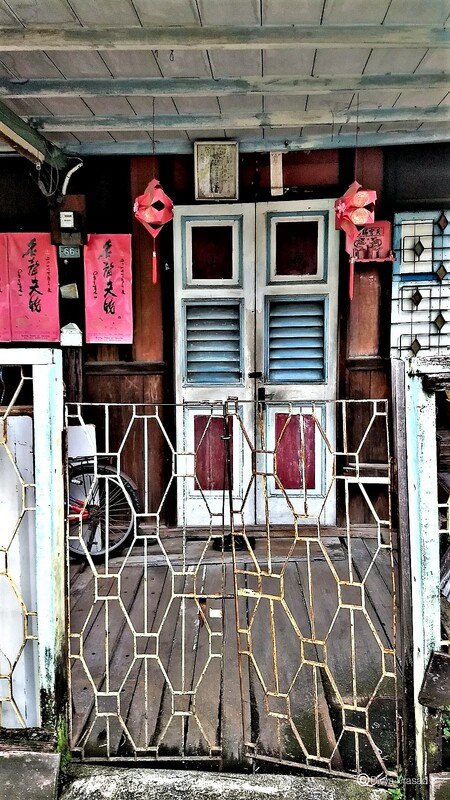 A walk through the Chew Jetty will reveal its cultural nuances. At the entrance of Chew Jetty, stands an ancient tree temple. Legend has it that, the tree is home to the ancestral spirits of the clan. 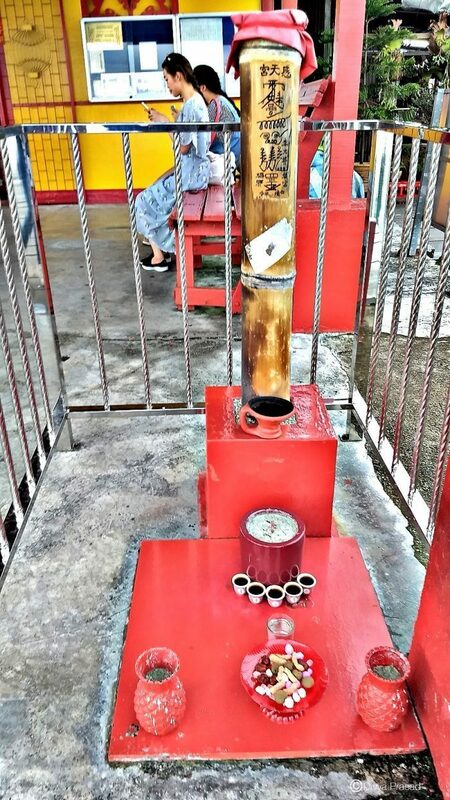 Towards the end of the Jetty, by the waterfront dotted with boats and ships; there is a Teng – a Taoist temple. The seafarers and the fishermen folk worship the deity at the Teng for a safe journey. The Jade Emperor’s Teng is highly revered by the clan. During the Chinese New Year, grand festivities take place to honour the Jade Emperor. Planning a visit to witness the festive sparkle, fireworks, Lion and Dragon dances for the Jade Emperor would be truly worth it. This village gained popularity for Ernest Zacharevic’s street art. Keep an eye on the corners of its alleys for the famous ‘Children on the boat‘ and ‘Ahmah and Ahsoon’ murals. The alleyways of this quaint village speak volumes of the clans’ traditions, culture, values, and way of life. 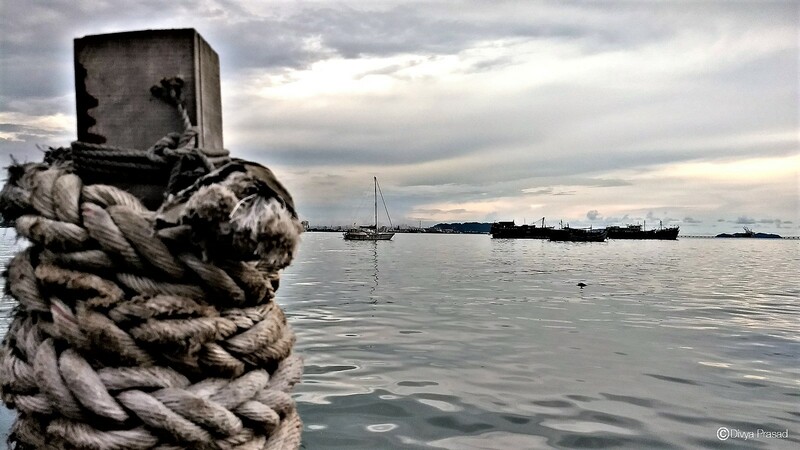 The Chew Jetty is truly a stroll down Penang’s rich heritage. A Teng of the Chew Clan. The Gods of the Sea, worshipped for a happy journey. If you are seeking a break from the city, this is the place to be. It’s one of those places where life is perennially on time lapse. Watch the boats bid goodbye to the shore. Soak in the views as the sun goes down. Embrace a moment of silence on the wooden patio, watching the skies play with colours. The Chew Jetty is your quiet and cozy retreat; an escape from the otherwise buzzing streets of Georgetown. It’s these lovely experiences that make me fall in love with Penang even more. Thus, I bid my goodbye to the setting sun at Chew Jetty, preserving these beautiful memories in my heart. A vivid life on the alleys. You can reach Chew Jetty by walk, cycle or private taxis. It is located on Weld Quay between Chew Jetty Cafe and Chew Boon Sai Coffee Shop at Armenian Street Ghaut. You can find the exact location here. Penang is accessible by air, road and rail. By Air: You can fly directly into Penang International Airport in Bayan Lepas from cities in Malaysia and major cities across the world. This is the best option! Buses and taxis can drop you off at any point within the Island. Air travel saves a lot of time and is a cheaper alternative to other modes of transport. I arrived here with Malindo Airlines. This was my first time with Malindo. I must admit that they are great on comfort, connectivity, and hospitality. They have many direct flights to Penang. The flights are very affordable for the top-notch quality of services offered on board. 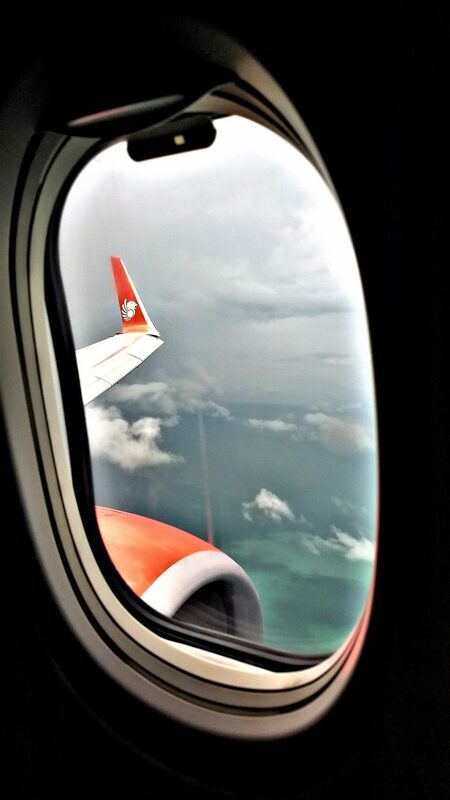 There’s no doubt, Malindo is going to be my preferred choice for Malaysia and other South-East Asian countries. By Bus: Many private buses ply to Penang from other cities in Malaysia. They take roughly 5-7 hours. For commuting within Penang, you can try the free ‘RapidPenang CAT’ shuttle buses that take you to all major points and attractions within Penang. By Train: The national train company KTMB serves a daily route to Butterworth from Kuala Lumpur. This journey takes approximately 6-7 hours. Alternatively, there is also a train from Alor Setar in Kedah. You can check for train schedules and further information, visit KTMB. If you have a lot of time on hand, you can go rail. By Road: If you love an adventure on wheels, you could drive or bike it up to Penang. You will need to take the North-South highway and reach Butterworth. From here on, you can either take the Penang Bridge or a ferry to Penang Island. Happiness is an Ais Kacang! ‘ Walking it up is one of the best ways to explore Georgetown. It will bring you treasures and surprises hidden in the town. You could also opt for a guided Heritage Walk with Penang Tourism. A guided tour is a great way to learn about a place. For more information, you can visit their official website here. Cycle around the town at your own pace. Georgetown is very much a cycle-friendly city. Renting a cycle is quite easy and affordable. Although it is a bit of an effort, it offers a lot of flexibility. You can stop by to indulge whenever and wherever you like. You can stay at Hotel Neo+ which is just ten minutes away from Chew Jetty. I enjoyed my stay with them. It’s luxury that’s affordable and their hospitality is just amazing! The Ais Kacang is a must-try. 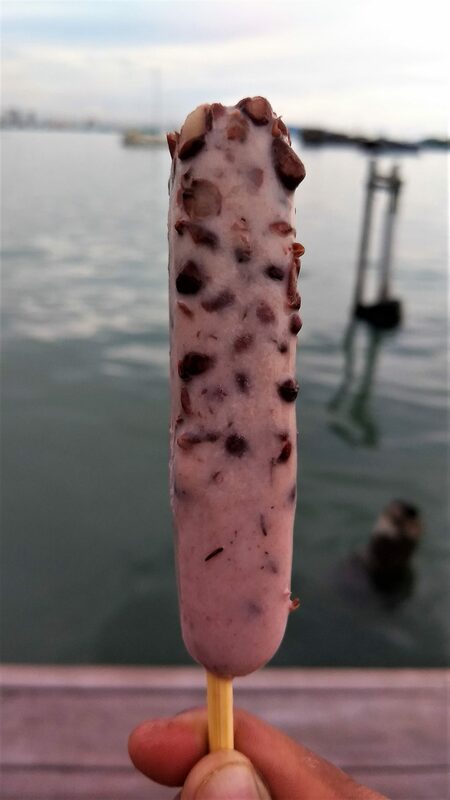 It’s the Malay popsicles that come in interesting flavours. The bold ones can try the dreaded Durian ones! Have a cup of hot ‘Teh Tarik’ – a Penang style tea. Do try interesting savouries on street such as ‘Durian Buns’, Durian yoghurt rolls, Congee, Apom Balik, Cendol and a variety of Chinese desserts. Georgetown will definitely bring out the foodie in you! Chew Jetty is great for a traditional Chinese indulgence. Fish lovers can find their delicious fresh catch. It’s full of little stalls and vendors serving authentic Fujian and Hokkien dishes, desserts, and other traditional delicacies. Vegetarians can indulge in a variety of fruits. Rojak (fruit salad) and deserts. Penang is a paradise for fruit lovers! Chew Jetty has plenty of street shops selling interesting knick-knacks and souvenirs which you can carry back home for your loved ones. 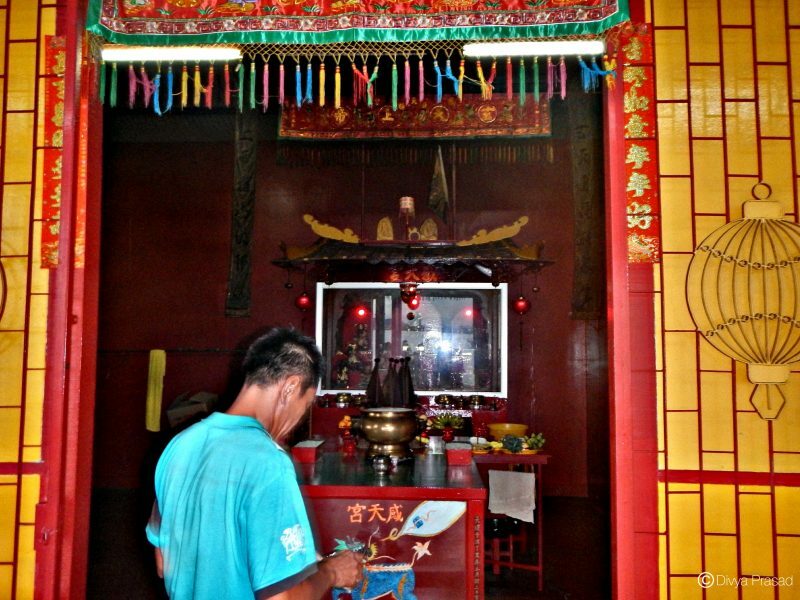 Previous Previous post: Quan Yin Teng: Divine tales of yore at George Town’s street of harmony. I’m in love with the beautiful charming stilt houses of Chew Jetty, your photos really bring this beautiful old Chinese jetty village alive. The portraits are particularly charming.